Secret Nazi Treasure Train May Have Been Found, Polish Official Says : The Two-Way Deputy Culture Minister Piotr Zuchowski says images from ground-penetrating radar have him "99 percent convinced" of the location of the hidden train, which may contain gold, gems and other loot. Polish Deputy Culture Minister and Head of Conservation Piotr Zuchowski speaks at a news conference Friday in Warsaw, Poland, on the so-called Nazi gold train. It has all the makings of an Indiana Jones sequel: In the final days of World War II as the Soviet army closed in on the Third Reich from the east, a train full of gold, gems and other Nazi loot was hidden in a secret underground tunnel near the present-day Polish city of Walbrzych. Seventy years later, a deathbed confession may provide the key clue to finding it. In an extraordinary news conference Friday, Poland's Deputy Culture Minister Piotr Zuchowski said authorities were led to a spot by an unnamed individual and that images obtained from ground-penetrating radar have left him "99 percent convinced" that the treasure train has been located. Zuchowski called it an "exceptional" discovery, according to The Telegraph. "The train is 100 meters long and is protected," he said. "The fact that it is armored indicates it has a special cargo," he said, but added: "We do not know what is inside the train. ... Probably military equipment but also possibly jewelry, works of art and archive documents." 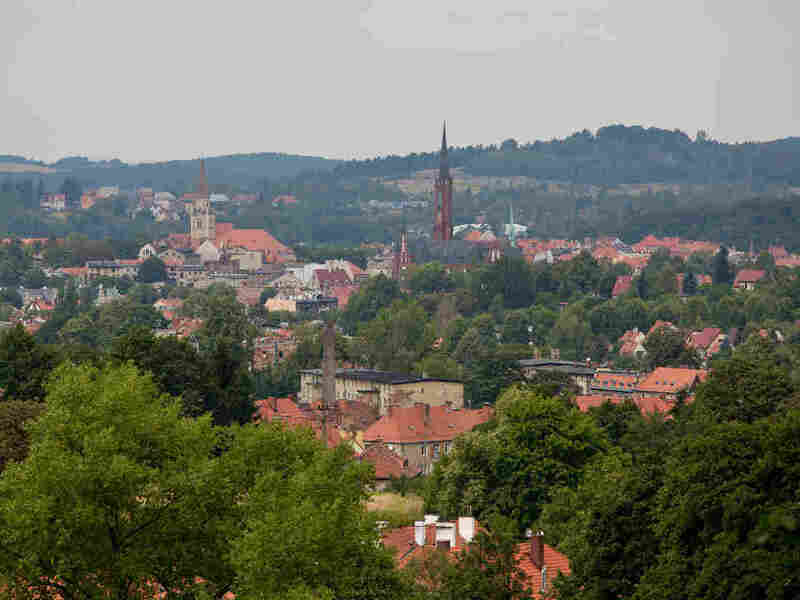 A view of the city of Walbrzych, Poland, near where a Nazi train, possibly holding some of the Third Reich's looted treasure, is believed to be hidden. The BBC reports that Zuchowski said the information about the train's location came "in a deathbed confession from a person involved in concealing it." He also issued an appeal "for any further investigations to be put on hold until we have finished the necessary official procedures relating to securing the site." "The buzz began this month when two unidentified men, a Pole and a German, claimed to have found the storied train. They contacted authorities in Wałbrzych via a law firm, but refused to reveal the train's exact location until they were guaranteed 10 percent of the value of what's inside. "The news struck a chord with many others who have long sought to find the train. With its complex network underground of tunnels designed by the Nazis, the surrounding hills of Lower Silesia have plenty of space to hide a train—even one 100 meters long." Although Zuchowski would not reveal the location of the find, he said he "personally hoped that it would bring to light looted art and Nazi archives," the BBC reports, adding that he "also reiterated warnings to treasure hunters that it may be booby-trapped." 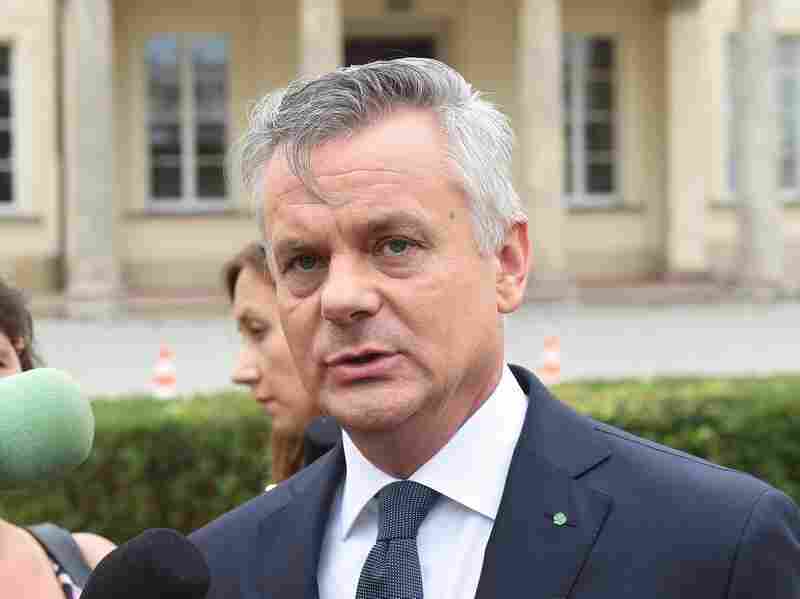 The mayor of Walbrzych, Zygmunt Nowaczyk, said the find was "within our administrative boundaries" but that "I cannot of course reveal the exact place."